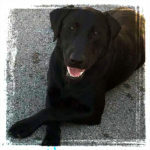 At Mtn View Kennels we train our exceptionally bred labs or we can train your personal dog. We offer two methods of training; Board and Train or Private One on One Sessions. All our training programs are designed around what our customer’s expectations are for their four legged hunting partner. We offer everything from basic water and land retrieves to dogs who can do multiple land and water retrieves while being handled. Please contact Mtn View Kennels to discuss your expectations for your hunting partner and to create a training plan for success at 615-604-6038 or via email.